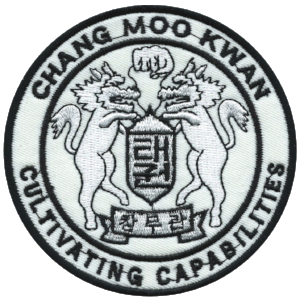 In increasingly dangerous times, the mission of Cheonjikido and its primary dojo of instruction, Catawba Valley Martial Arts, is to propagate a practical and combative MARTIAL art (not martial ART); to train hard in therein apart from the unhealthy influences of typical sport karate and mma (Mixed Martial Arts); to preserve the indigenous principles of Tomiki Aikido and Chang Moo Kwan and their unique histories in North Carolina; to foster martial skill within the framework of a Biblical worldview; and to cultivate capabilities that reproduce themselves in others. We give particular attention to realistic and practical self-defense, the well-springs of kata, bunkai, grappling, randori, kumite, flexibility, agility, endurance, moral virtue, and spiritual fortitude. As one martial arts master once affirmed: “Karate is not a religion, neither should it become religious . . . rather, religion provides a necessary moral framework for the study of martial arts. A martial art, thus framed, can then be a tool to strengthen one’s religious faith and an outlet to live a constructive life.” Therefore, Cheonjikido operates within the moral framework of a Biblical worldview, thereby recognizing only one Master or Soke in this earthly life, the Lord Jesus Christ. Moreover, we endeavor to use the practice of martial arts as a platform from which to point others to faith in Him. Catawba Valley Martial Arts is an official member of the Indigenous Tomiki Aikido Alliance (ITAA); and we are considered the East Coast representative of the Chang Moo Kwan Association based in San Pedro, California. Our spacious dojo is in the basement of the old Hickory Granary Building, very close to downtown Hickory and Lenoir Rhyne University.